How, Why, And When To Write An Introduction For A Nonfiction Book - Writer's Relief, Inc.
What should be included in the introduction to a nonfiction book? The introduction to your nonfiction book should clearly and concisely explain what the book is about, what the reader can expect to gain from the book, the motivation behind the book, and any background (the story behind the story) that may be interesting and relevant. Many authors use the introduction to explain why they wrote the book. Unless there is an interesting story behind it, some readers will not care about the author’s motivation. Again, they want to know what benefits they’ll receive from reading the book. You must forge a connection with the reader and determine what your audience is looking for. Suppose your book is about nutrition during pregnancy. Your target audience will obviously be pregnant women, or women who are hoping to get pregnant. What are their unique challenges and concerns? Show how your book can answer their questions, help them in their quest for better nutrition, and address their specific needs. If you offer a concrete benefit for purchasing the book, make it clear in the introduction. “This book lists 100 Internet-based businesses you can start for less than a thousand dollars.” Your readers need to know that your book will help them increase their wealth, improve their health, strengthen their relationships—it could teach them how to build a deck or improve their SAT scores. Your introduction might also instruct a reader how to approach the book in question: Should the book be read front to back? Can the reader jump around? Are there online supplements to the book? Is it best that the reader plow through the book in a matter of days, or should he or she be prepared to make a longer investment? Are there quizzes, writing assignments, or other additional steps that the reader should expect apart from just sitting back and reading? Who should write my introduction? You may write the introduction yourself, or have a fellow author or expert weigh in, especially if the other person is influential in the field. For example, if you are writing about the foster care system, you may want a trusted source at the local agency to write your introduction and lend some credence to your book, or you may have a compelling introduction written by someone who survived or thrived because of (or despite) the foster care system. It is possible for some books to have more than one introduction, including both the author’s introduction and the other expert’s. Both should be kept short. When possible, mention your introduction in your nonfiction book proposal. If you’re writing your own introduction, match the style of your introduction to the actual text. (A humorous book should not start off with a dark, moody introduction.) Make sure your introduction is clear and concise—this is no place for tangents, long-winded descriptions, or a boatload of statistics—and make every word count. Don’t take more than a few pages to make your point: Readers want to get right to the heart of the book as quickly as possible. Use engaging language and keep your audience firmly in mind. Writer’s Relief can help if you get stuck. 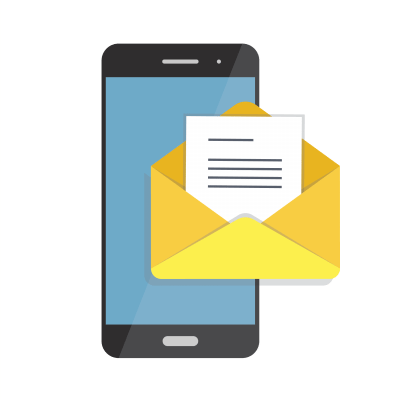 We are a submission service for writers, targeting the best-suited markets for your writing, and we offer everything from proofreading to full management of the submission process. Our Submit Write Now! 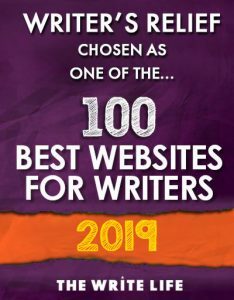 for writers has tips on everything from writing cover and query letters, landing a literary agent, mastering tricky grammatical rules, and so much more. Thank you for an excellent article on writing introductions for non-fiction books. Thank you for being a good site. Really amazing help. This was very helpful. I am now prepared and inspired to write a great introduction for my first book. This is a very straight forward and informative site. It has given me greater self confidence as I go forward with self publishing. I am writing my first book, and I needed to know how to write an introduction. This site has greatly put me to shape. Writing my first book and self-publishing. This was very helpful. I have been torn about how to start my first book, if I needed an introduction an even how lengthy my chapters should be. After reading on the site here, I got my answers. This site was very beneficial to me. I’m very honored to find the answers that I needed. than you! this was very helpful!! Wow, this was very helpful. Thank you so much! I can move forward now with my introduction. Thank you this information was so helpful. I’m writing my first and hopefully not the last non fiction book. Thank you for the info. I wasn’t sure if the introduction was really needed. My introduction to my first solo book (I’m a co-author on two other books) is due in 10 days and this helped me tremendously. I will be visiting frequently. Thank You for this invaluable resource. I am a Kenyan runner who wants to write a book about jogging/running for fitness.This was very helpful. First time I have visited this site. I am currently putting together a novel and this was very helpful. Thanks! Thank you for taking the time to write this post. I was researching whether I needed an introduction for a new inspirational photography book I’m working on and you answered the question.